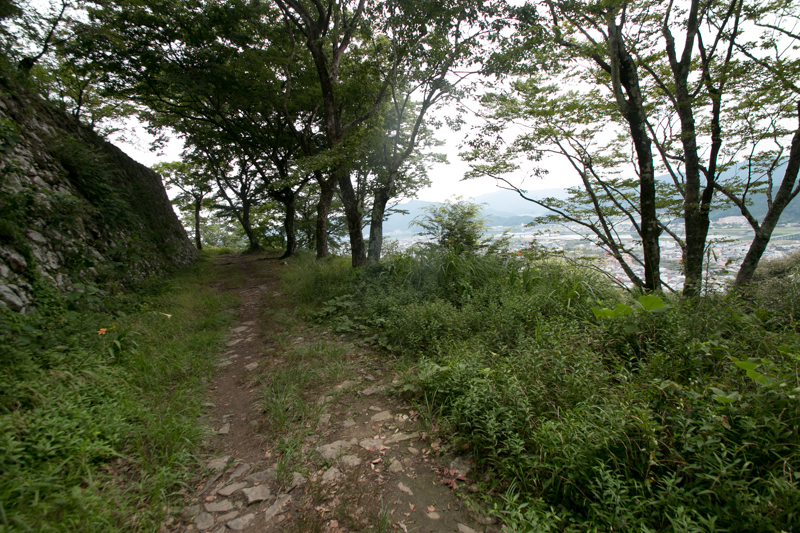 Saiki castle (佐伯城) is located at Shiroyama mountain, a corn shaped one of 150 meter height from its hillside at the center of Saiki city. 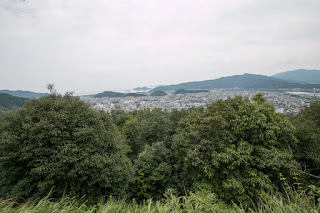 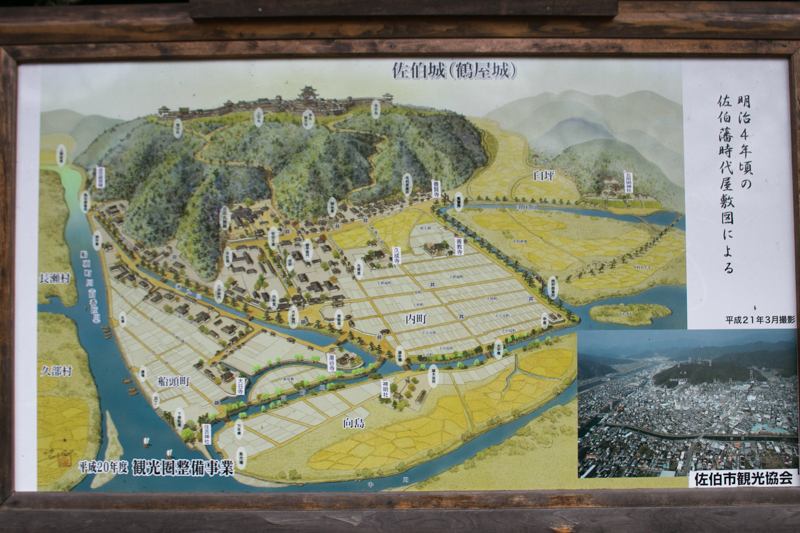 Saiki area is a small flat land at the mouth of Banshogawa river, and being located the south border of Bungo province (Oita prefecture), it has been an important area to guard province from southward since medieval era. 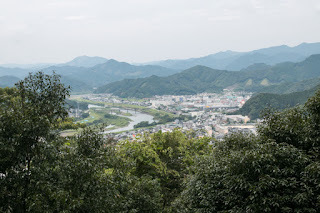 Saiki city also places at the south edge of Bungo straight known as swift current, and along with rias coastline, this area has prospered by fishery. 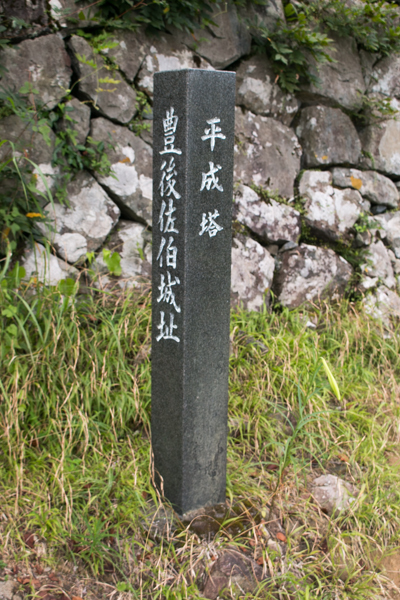 Under Chinese character it is expressed as “Saeki” city but pronounced as “Saiki”. 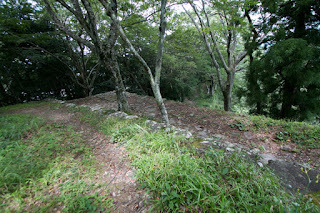 In the medieval era, current Saiki area had been governed by Saeki clan, a traditional clan of ancient house Ogami clan. 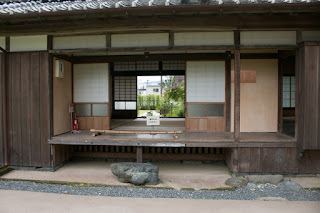 When Otomo clan, the house of the governor of Bungo province, entered into the province as the governor, Saiki clan cooperated with Otomo clan and followed to them. 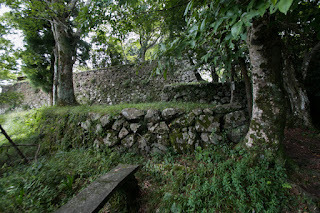 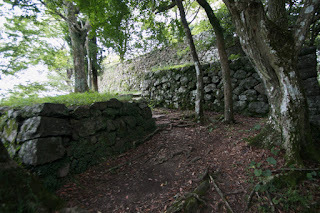 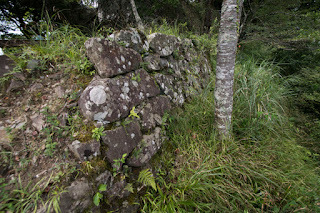 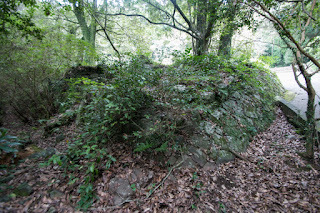 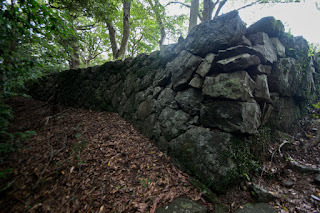 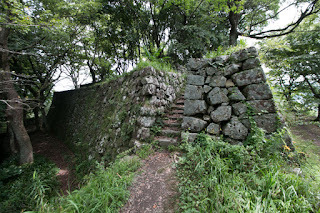 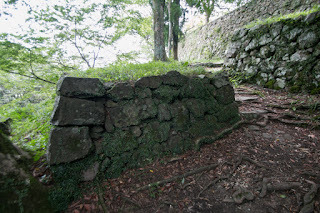 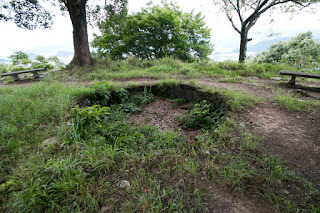 Saiki clan built Togamure castle (Oita prefecture), a large medieval castle consist of clay wall and dry moat, on the top of Togamure mountain at 2 kilometer upstream of Banshogawa river, as their residence. 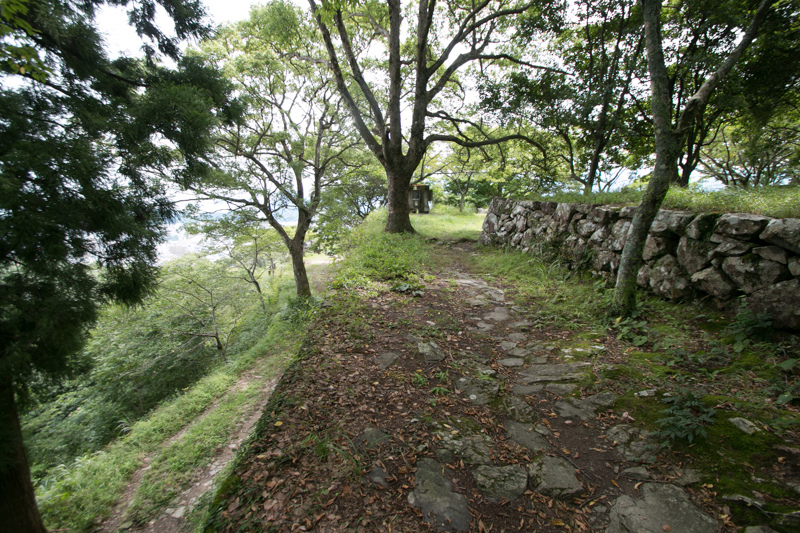 In 16th century, Saeki clan was involved into two large battles. In 1527, Yoshiaki Otomo (1502-1550), the leader of Otomo clan, proceeded centralization of Otomo clan and attacked Koreharu Saeki (1495-1527) who kept semi-dependent status based on a false charge. 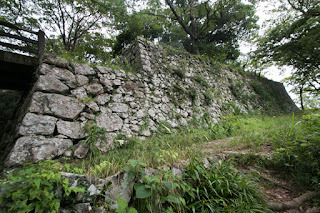 Otomo army attacked Togamure castle but the castle was secure and it seemed difficult to secure the castle. 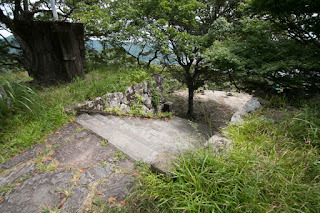 Distressed Otomo commander advised Koreharu to hide somewhere and later he will coordinate with Yoshiaki and Koreharu. 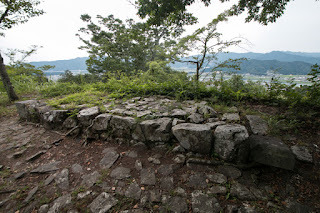 Koreharu believed it and left the castle, but this was a trick and Koreharu was assassinated. 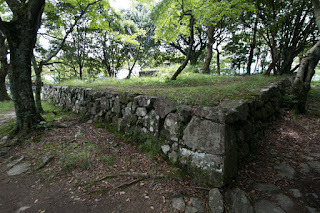 After Koreharu, relative of Saiki clan succeeded leader position. At the time of Korenori Saiki (?-1578), Korenori became an important retainer of Otomo clan and activated at many battles leading his navy. But when Otomo clan suffered severe defeat against Shimazu clan which was the governor of Satsuma province (western part of Kagoshima prefecture) in 1578, Korenori who served as a vanguard based on the geographical location died in the battle. 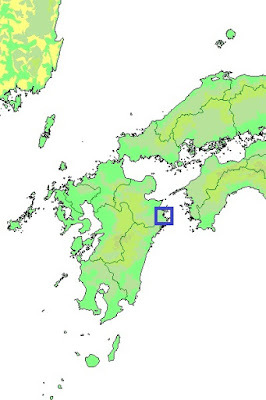 In 1586, Shimazu clan which became the strongest power of Kyushu island finally made total attack to Otomo clan. 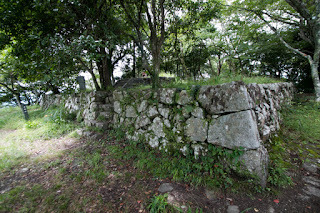 Koresada Saeki (1569-1618), son of Korenori, firmly secured Togamure castle and rejected attack of Iehisa Shimazu (1547-1587), a valiant general of Shimazu army. Furthermore when main army of Shimazu clan saw the arrival of expeditionary force of central ruler Hideyoshi Toyotomi (1537-1598) and retreated from Bungo province to Hyuga province (Miyazaki prefecture) through his territory, Koresada raid retreating Shimazu army at Azusa-toge path and deprived famous tea set from Yoshihiro Shimazu (1535-1619). After the battle Otomo clan survived as the lord of Bungo province under Toyotomi government but later was expelled being blame for a failure in foreign expedition. 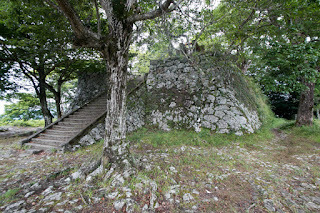 Korenori left Togamure castle and Saiki area this time, then was hired by Takatora Todo (1556-1630) being evaluated by his braveness and naval skill. Korenori continuously activated under Takatora and Saiki clan continued as an important retainer of Todo clan. 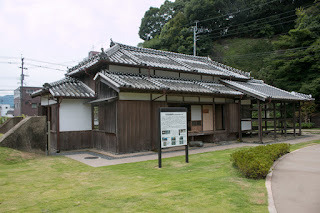 After the leave of Saiki clan, Takamasa Mouri (1559-1628), an old retainer of Hideyoshi Toyotomi, was appointed as a lord of Saiki area along with Hita area and Kusu area of Bungo province. Takamasa built Hikuma castle at Hita area as his residence and reformed Tsunomure castle at Kusu area as a branch one, and used Togamure castle at Saiki area. At the time of the battle of Sekigahara in 1600, Takamasa at first belonged to loser Mitsunari Ishida (1560-1600) side but changed to winner Ieyasu Tokugawa (1543-1616) and was admitted to continue as a small feudal lord of Saiki area. 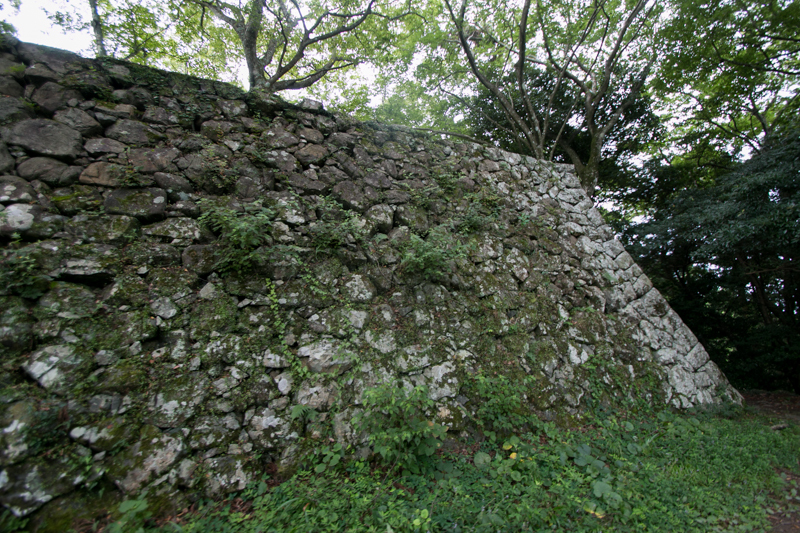 As a feudal lord under Edo Shogunate, Takamasa decided to build a new castle as Togamure castle located inland and inconvenient to manage the town and port. Takamasa chose a mountain just beside of the river mouth and port then completed a modern castle wholly secured by stone walls in 1606 after three year construction. 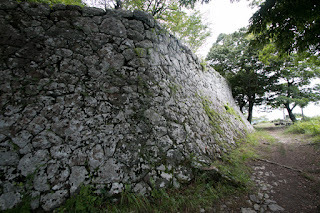 Saiki castle is built utilizing the peak of the mountain and two straight ridge continued toward northeast and southwest from the peak. 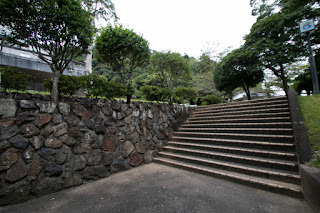 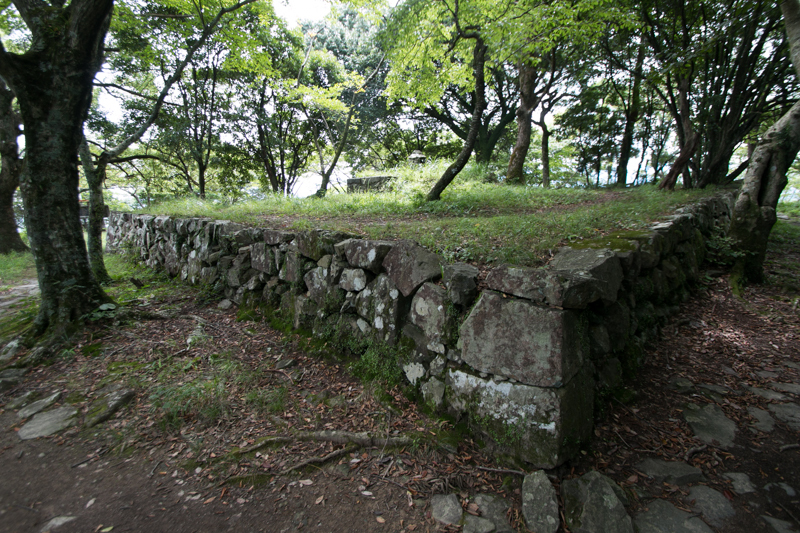 The central area is about 50 meter long square shaped area, and a pentagon shaped inside upper terrace protected by tall stone wall occupies almost full part of this area. 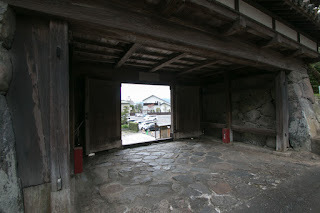 In this upper terrace there is a 20 meter long basement of low basement of main tower, and a three story main tower was built over this basement, but was lost by fire just after about 15 years from construction. Just after the behind of central area, secondary area is built and connected to central area by bridge over dry moat. Secondary area is the largest area at hilltop area, and there might be a large warehouse or barrack of guardians. Ahead of secondary area a narrow terrace of Nishidemaru area continues like a right wing, and on the opposite side Kitademaru area also spreads as left wing. The tip of these narrow area were secured by corner turrets, and secure gate closed the root of these small area into the core part. 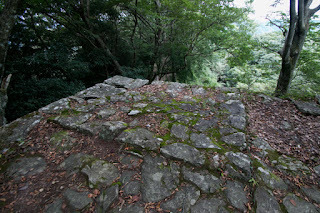 Below of central area a narrow triangle shaped narrow flat floor is built, like a beak. 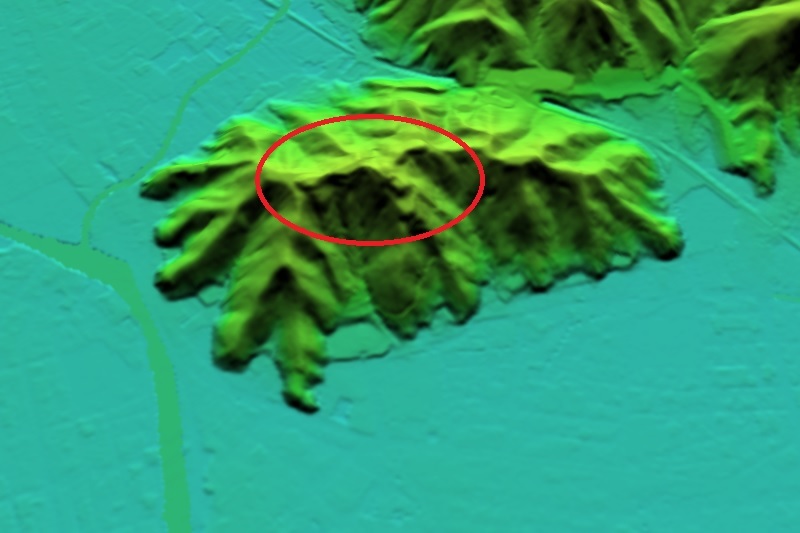 Generally the broad part of the ridge is used as a living place, and narrow part is utilized as defense facility. 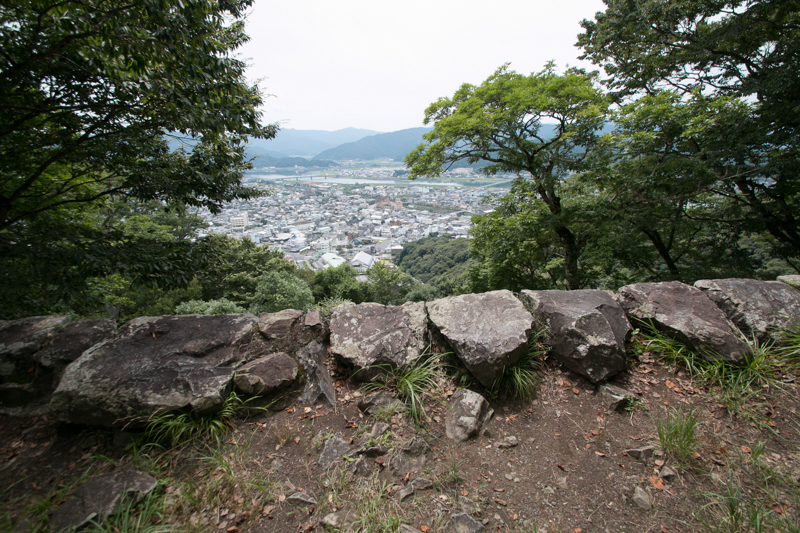 Aside from its size, Saiki castle is built under complete style of Toyotomi style mountain castle like Takeda castle (Hyogo prefecture). 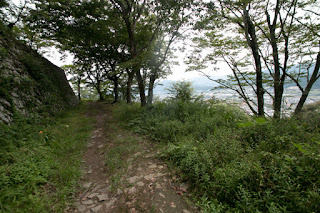 As this castle located over a steep mountain, it was an inconvenient castle for peace period then later third area was built at hillside area. 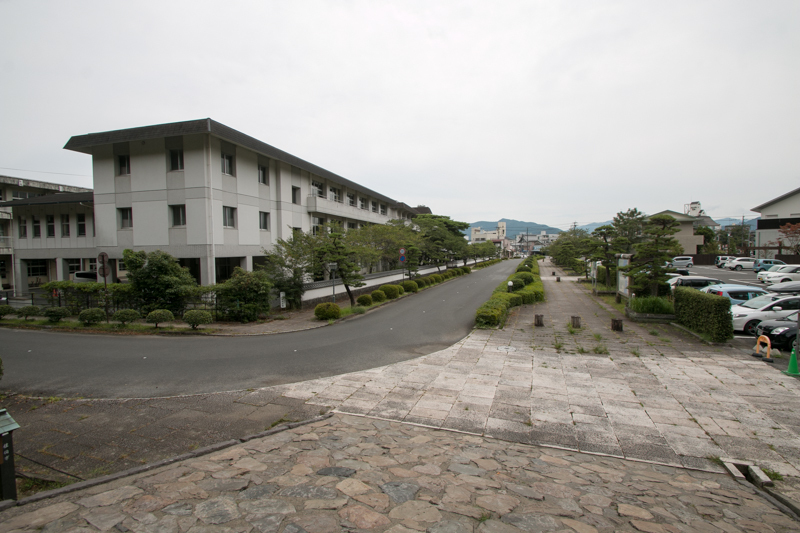 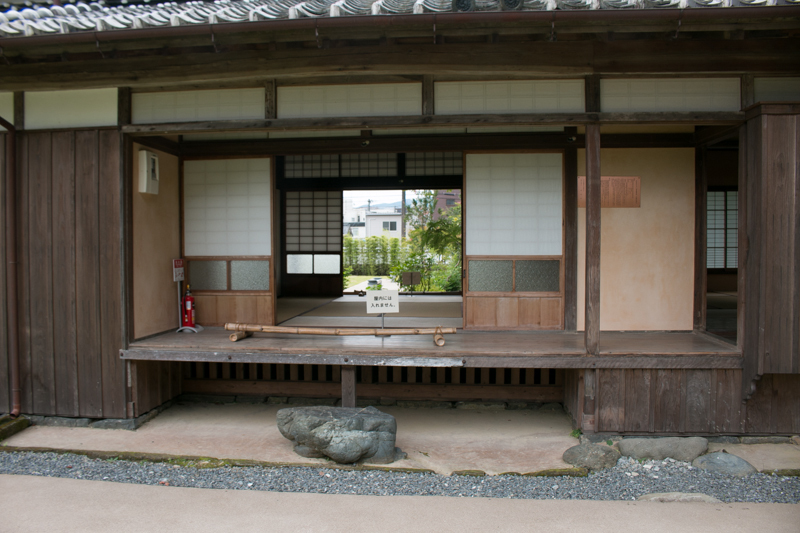 After the fire, residence of the lord was built at this area, and lord of Saiki domain resided and administered here. 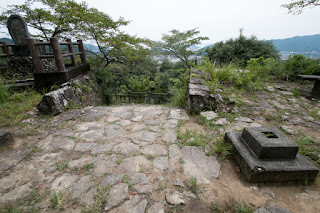 But hilltop area was also kept as a symbol of domain and restored except for main tower. 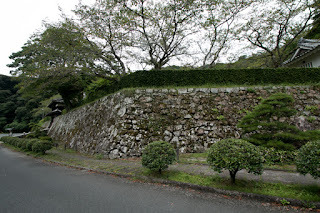 Mouri clan kept Saiki castle and Saiki domain by the end of Edo era. 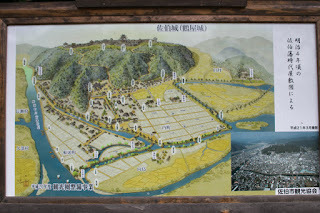 Subsequent to Meiji revolution, all buildings except for main gate of third area and some buildings moved was broken. 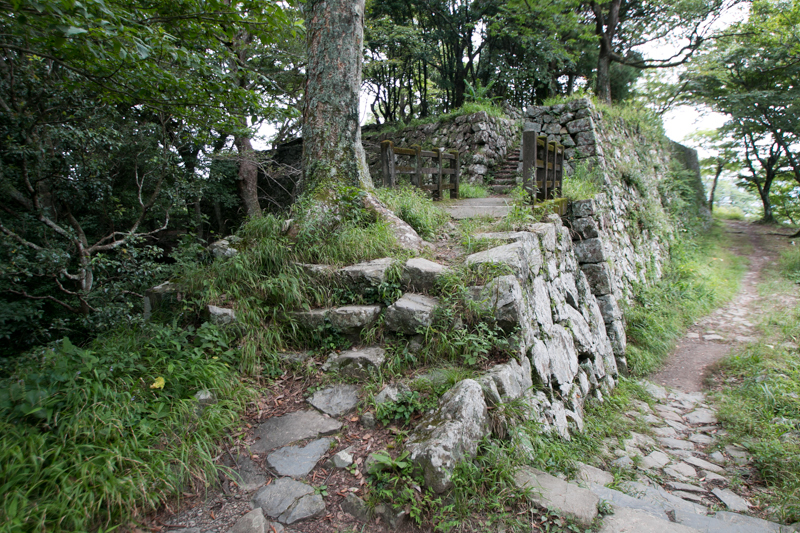 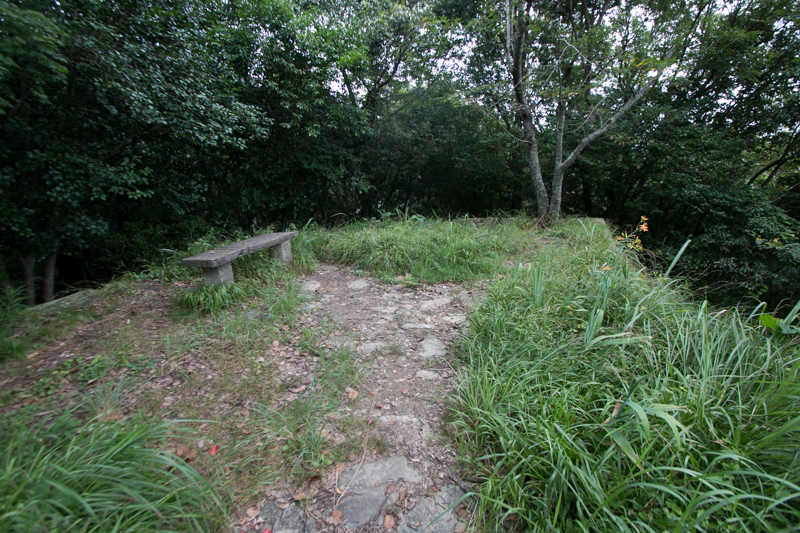 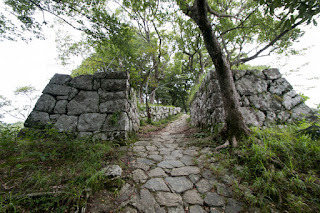 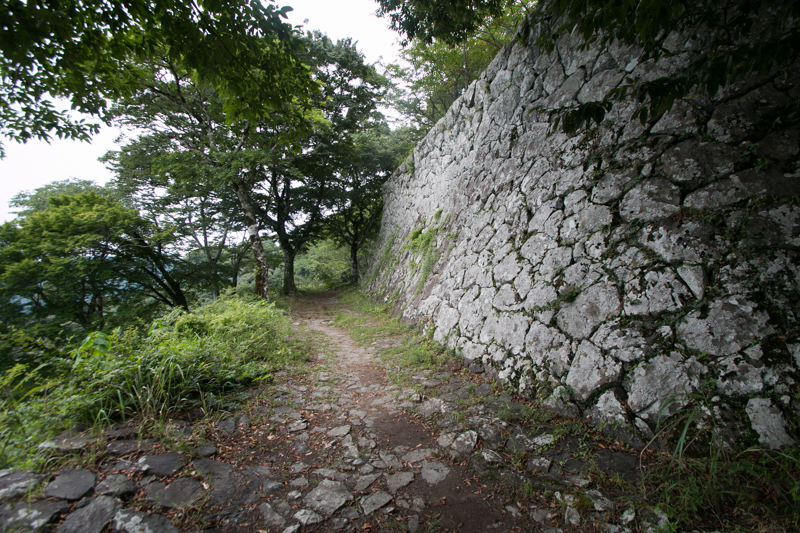 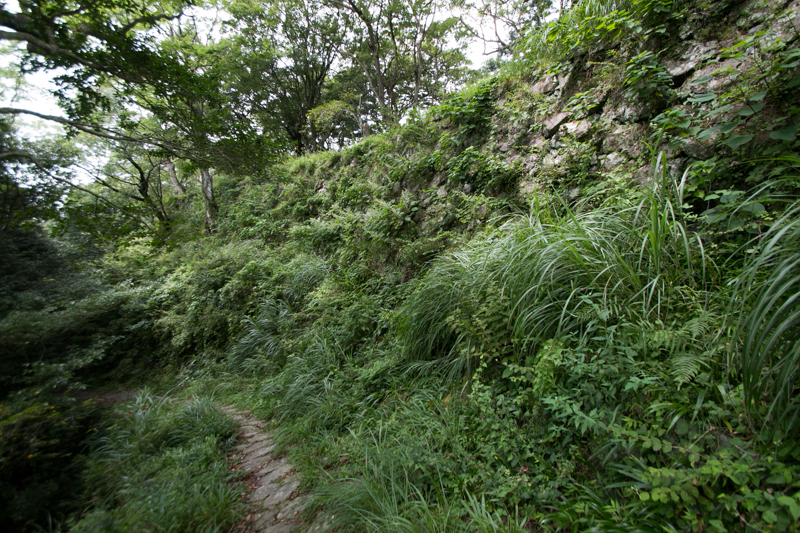 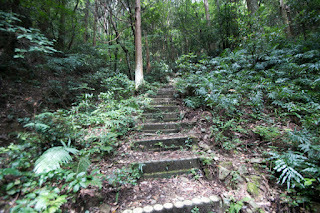 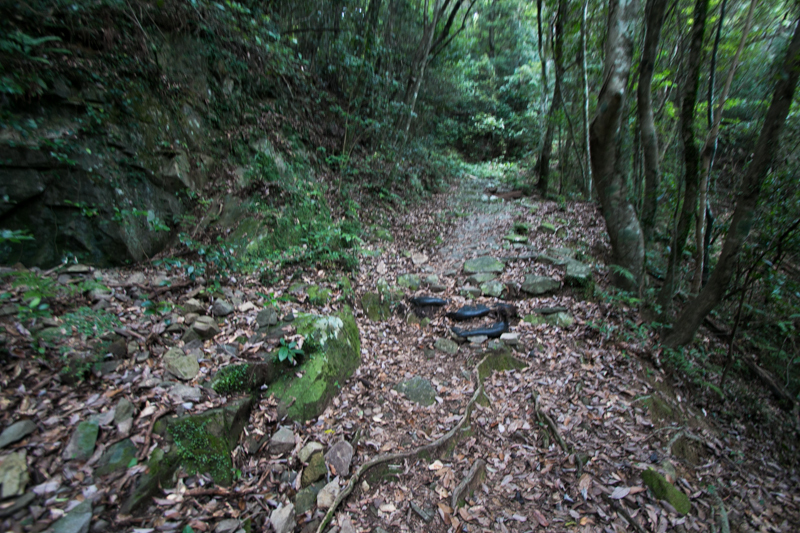 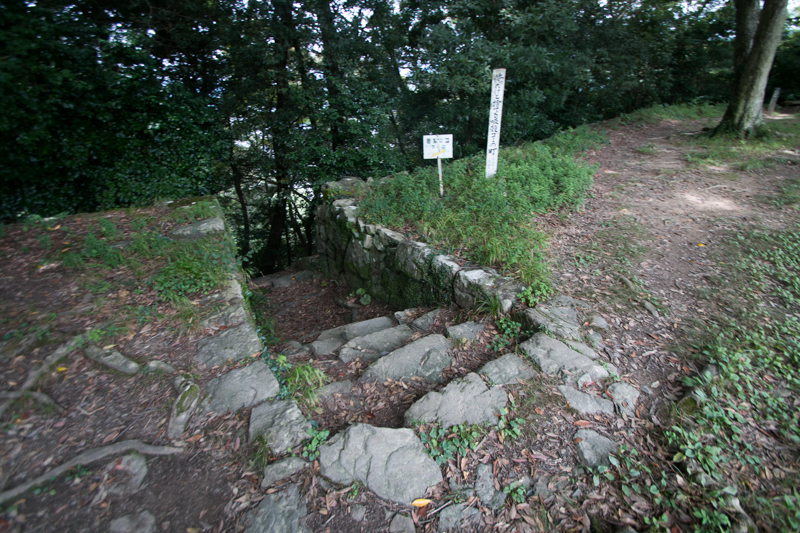 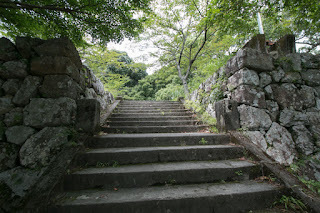 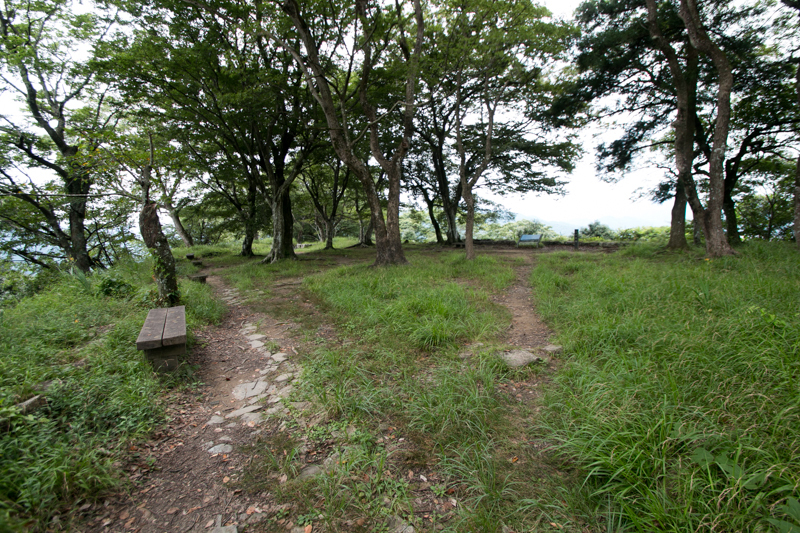 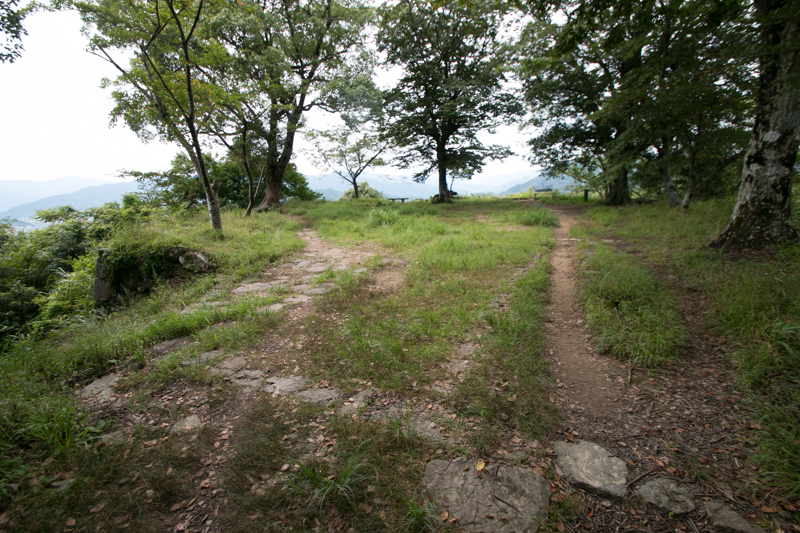 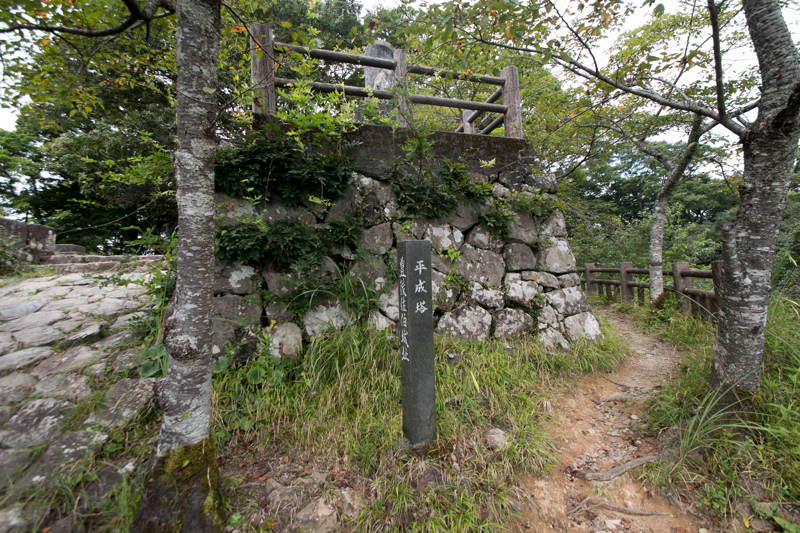 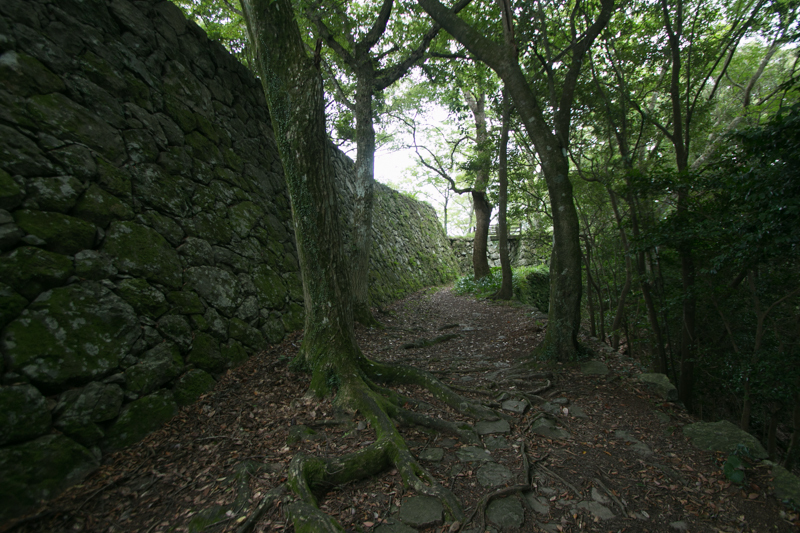 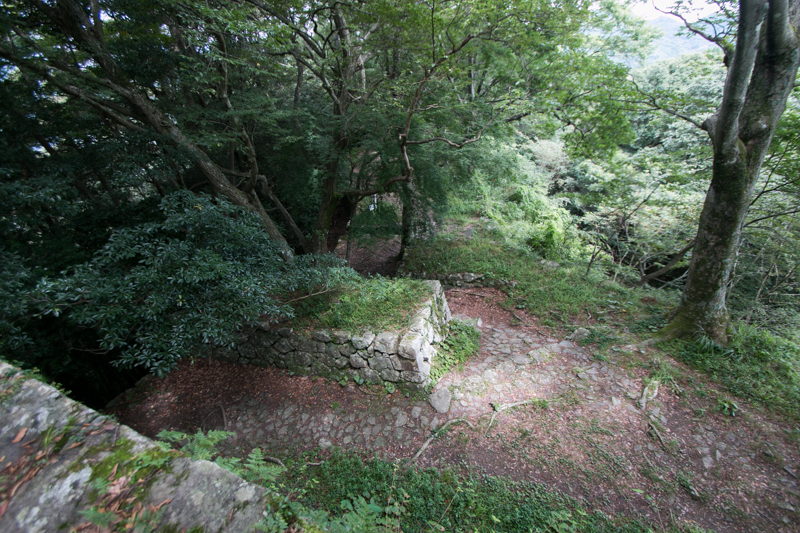 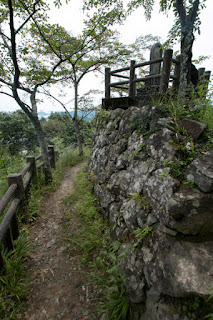 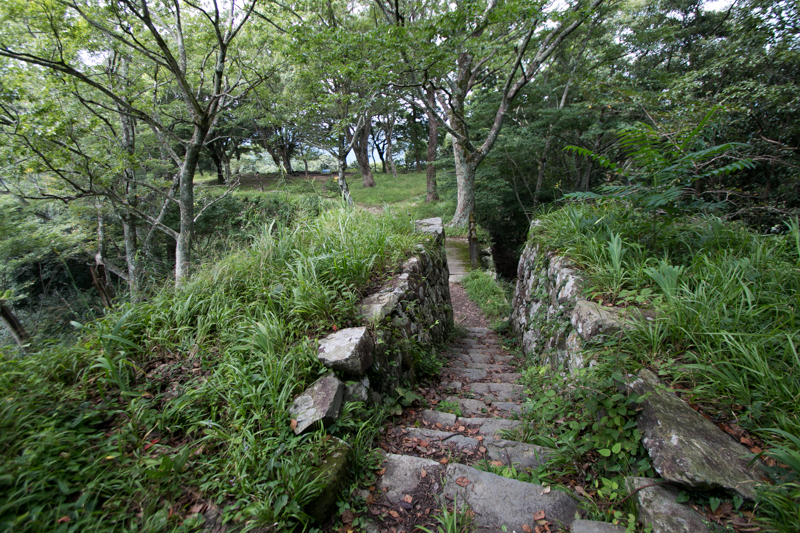 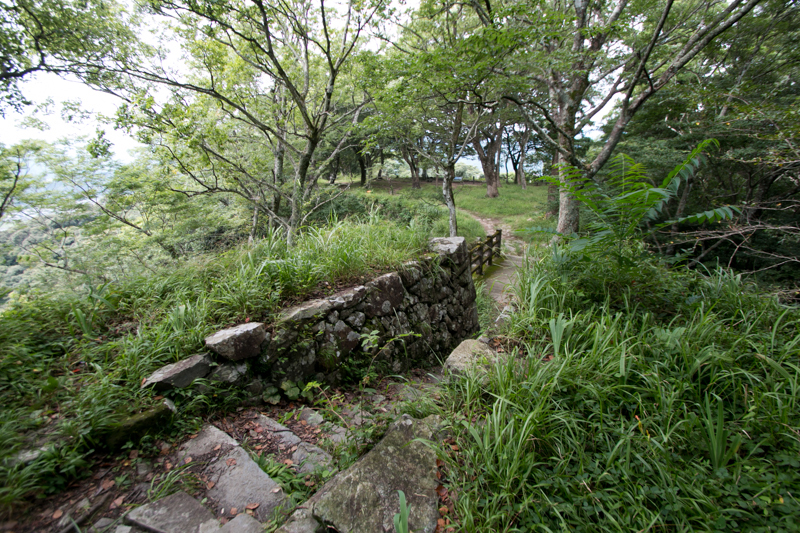 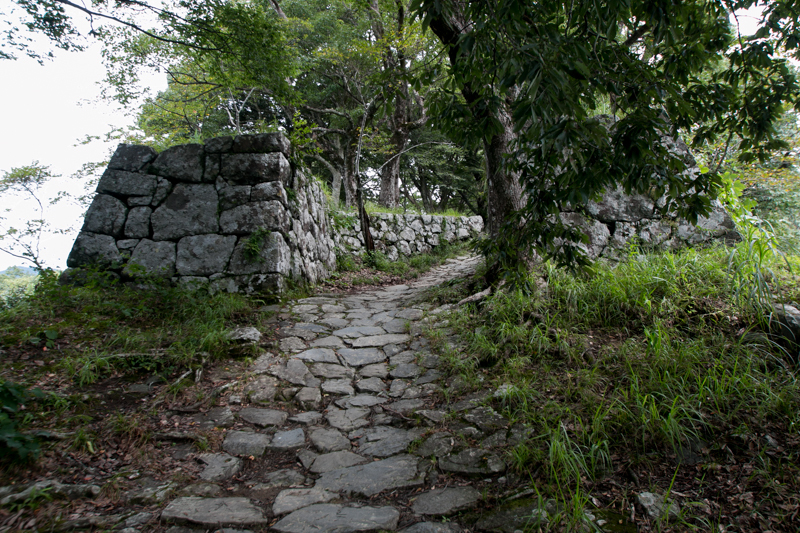 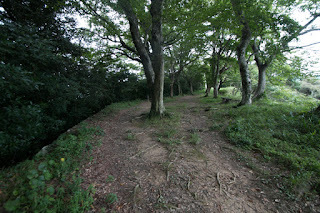 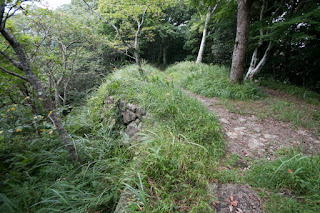 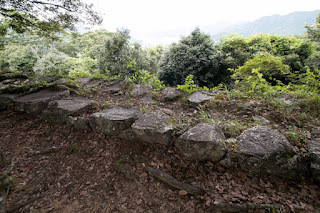 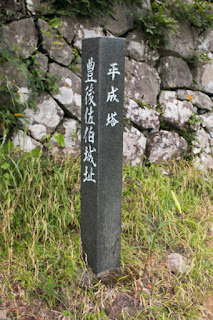 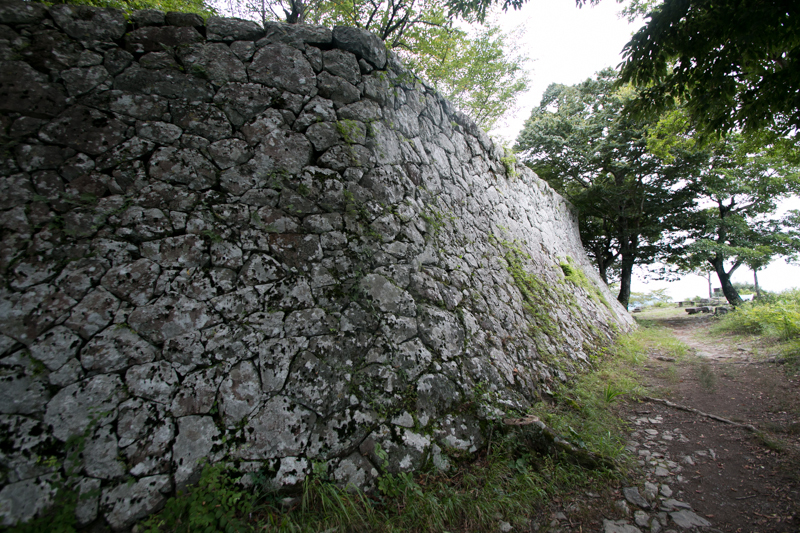 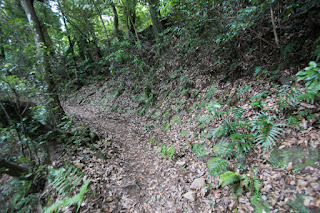 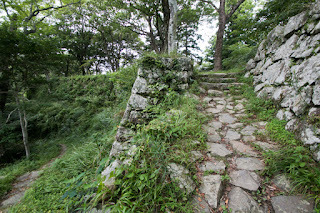 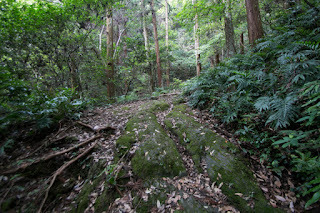 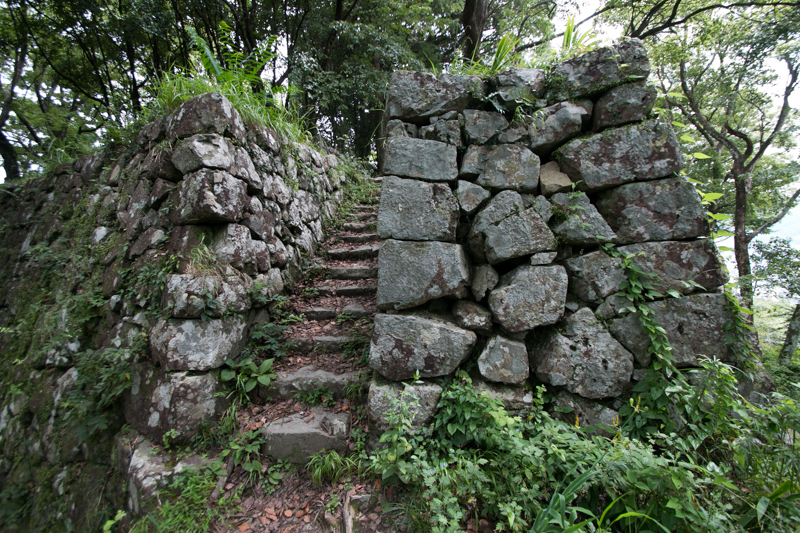 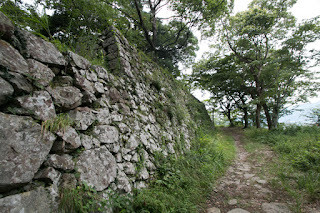 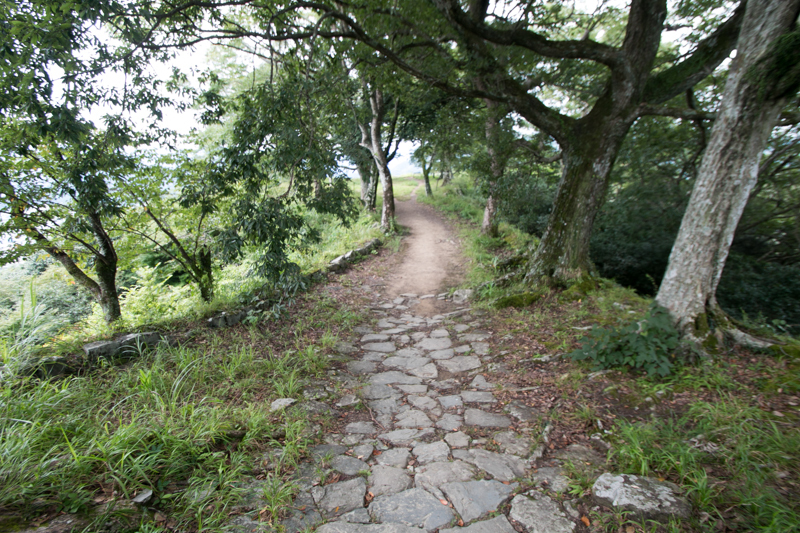 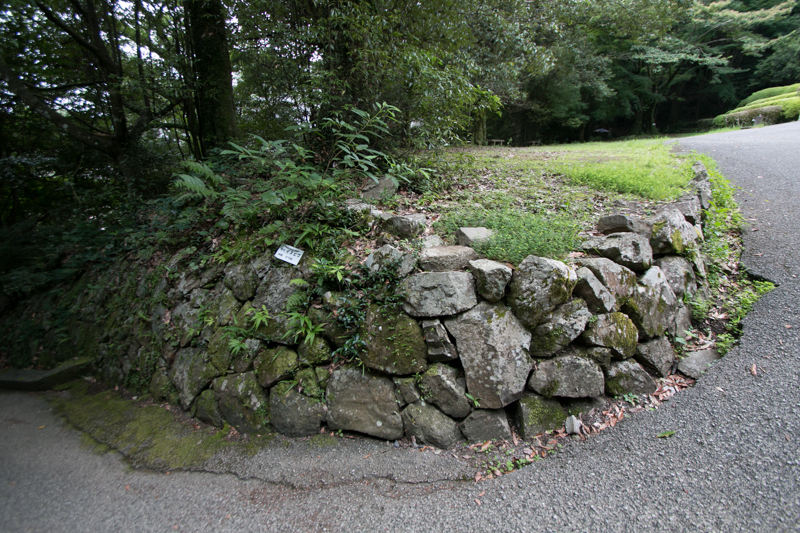 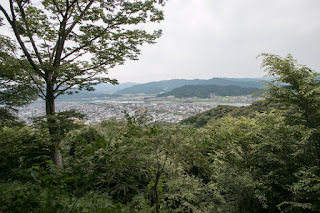 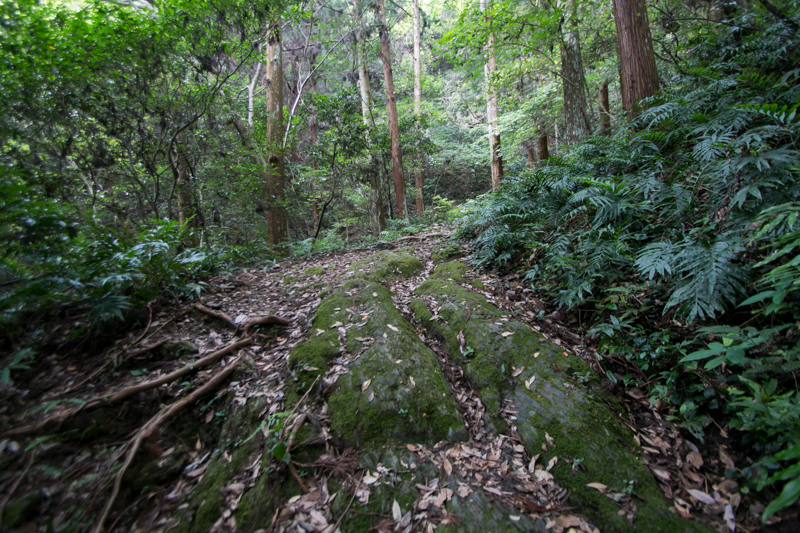 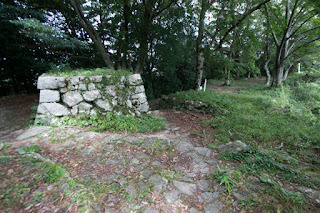 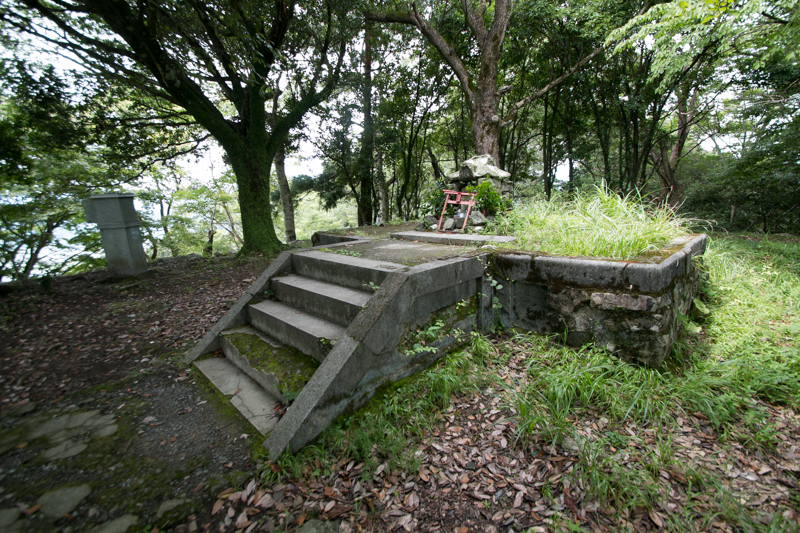 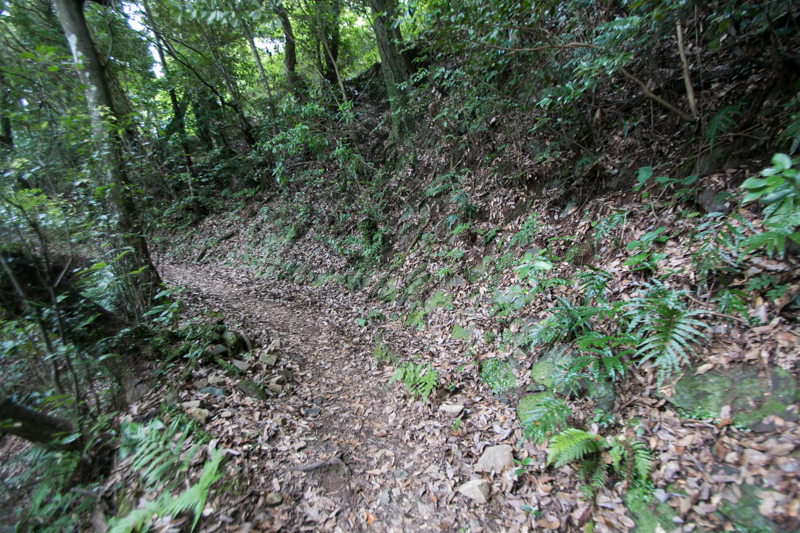 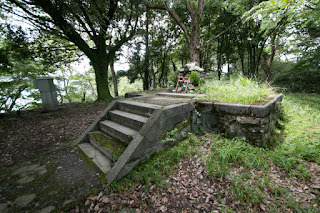 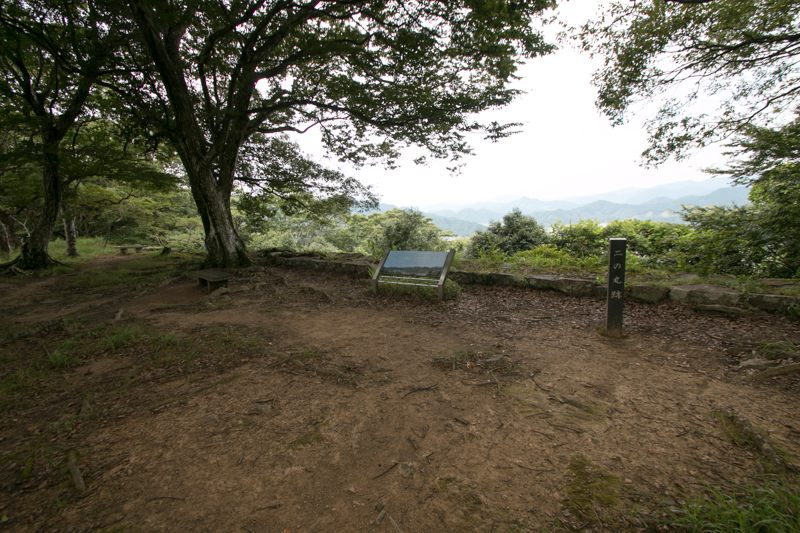 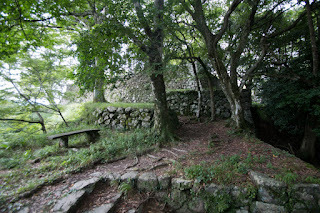 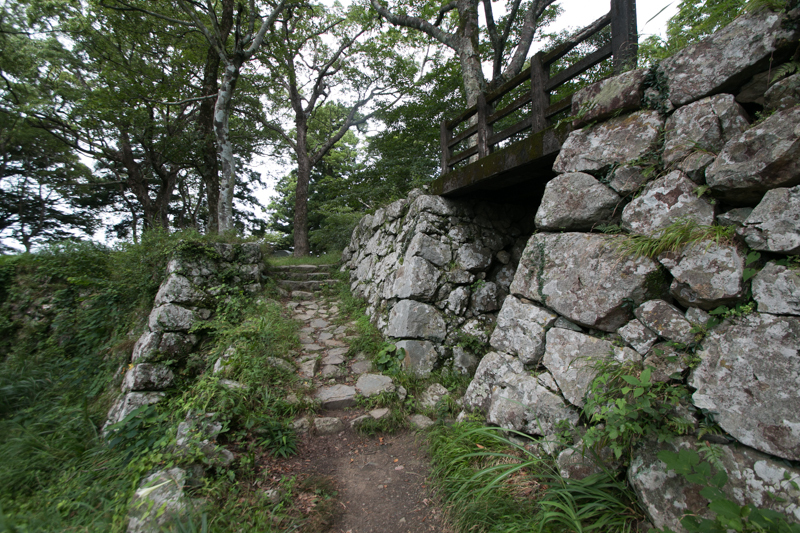 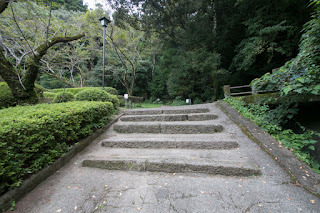 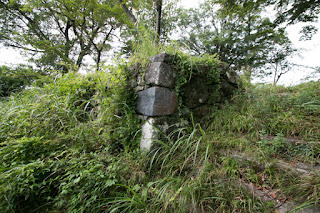 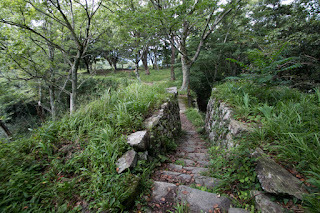 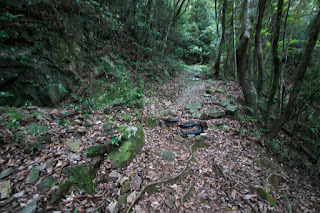 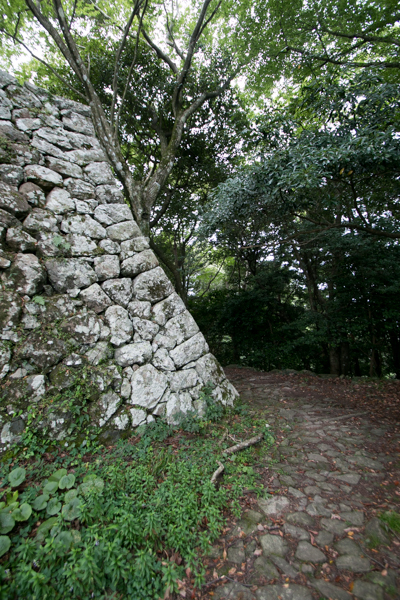 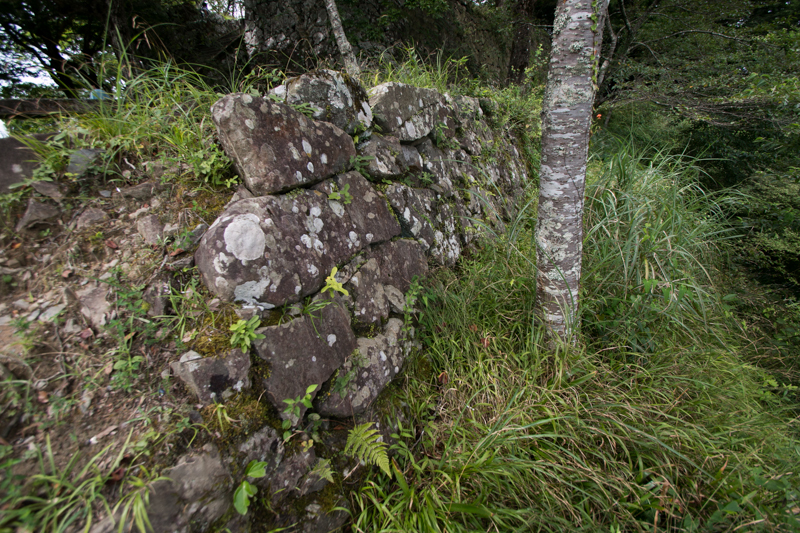 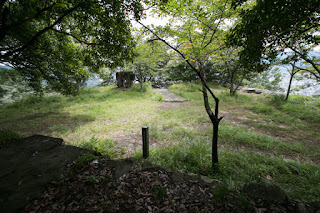 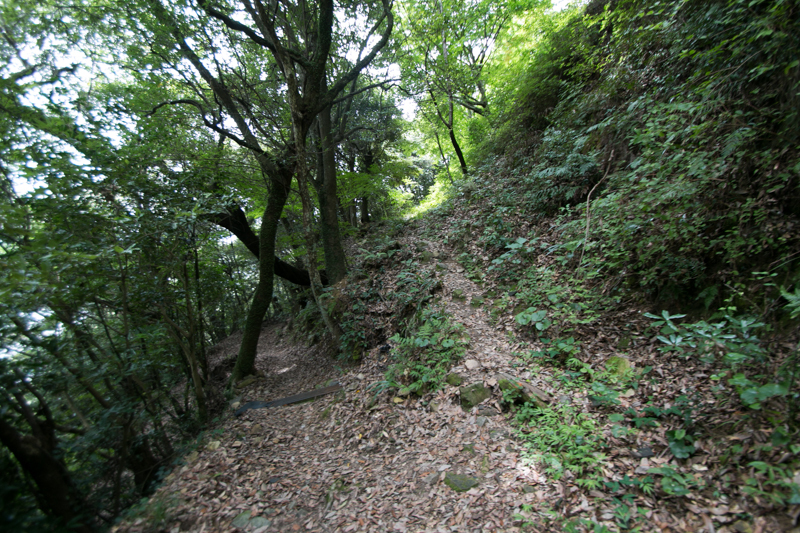 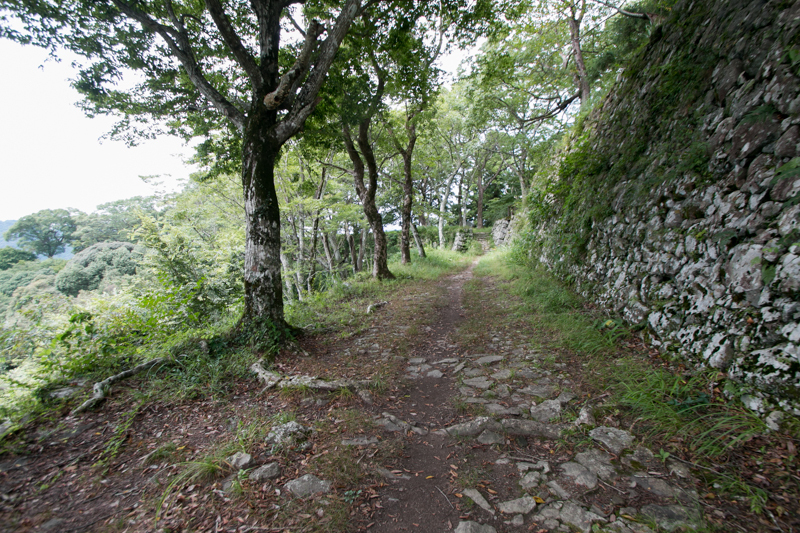 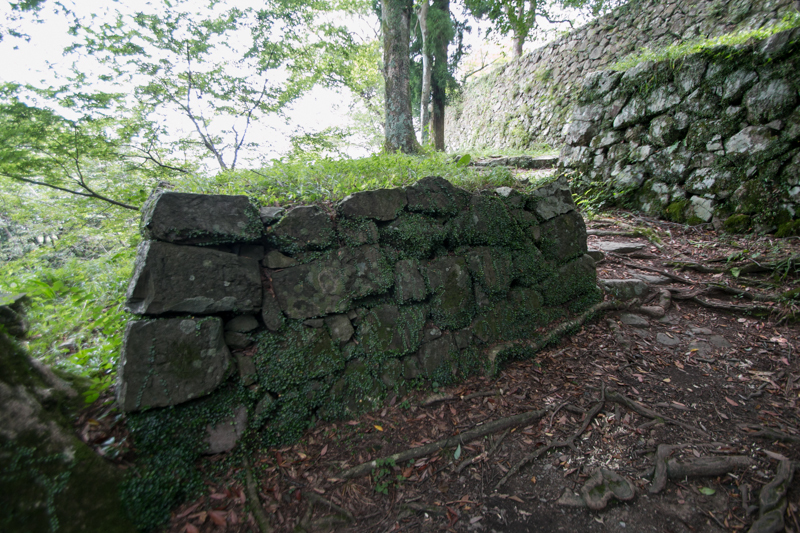 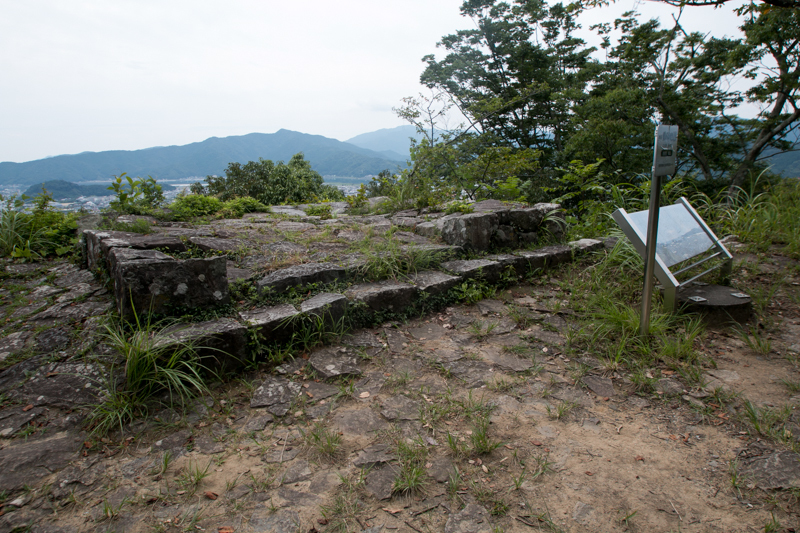 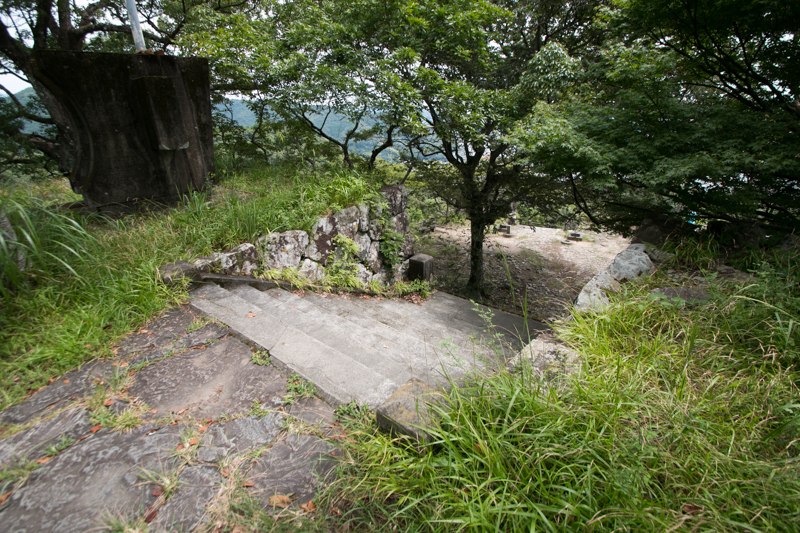 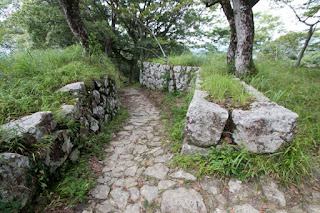 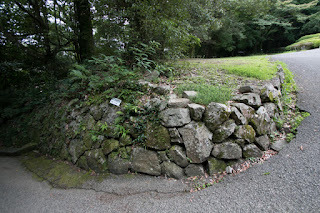 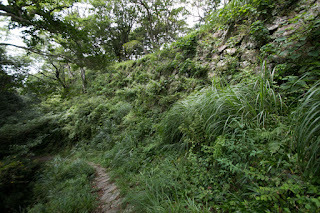 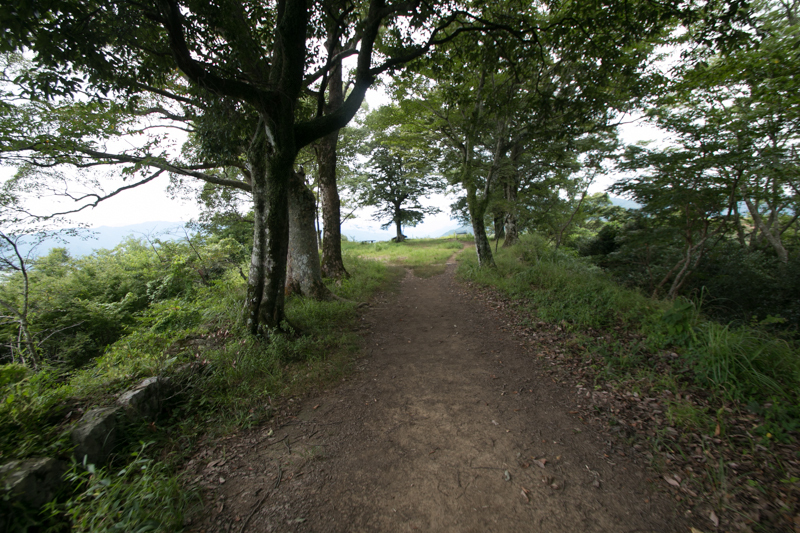 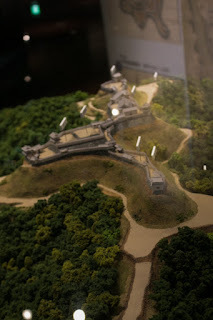 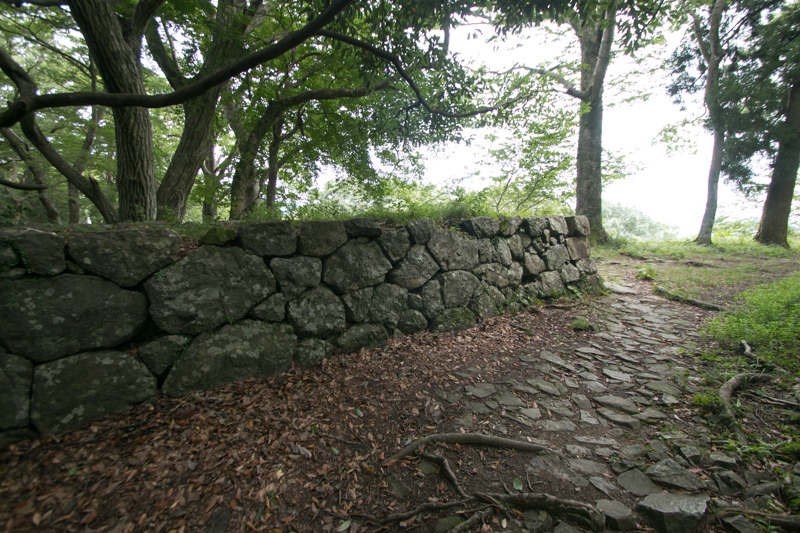 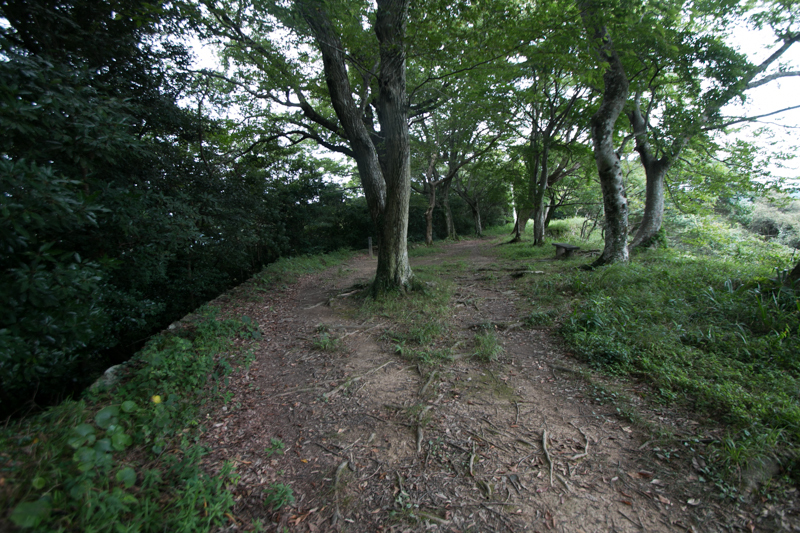 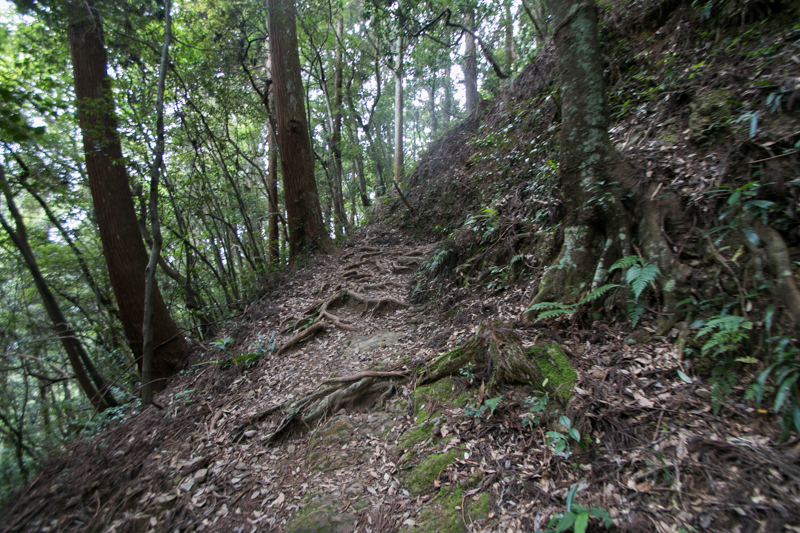 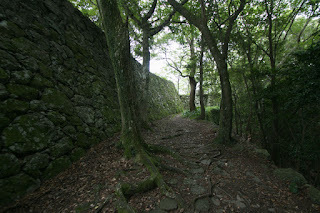 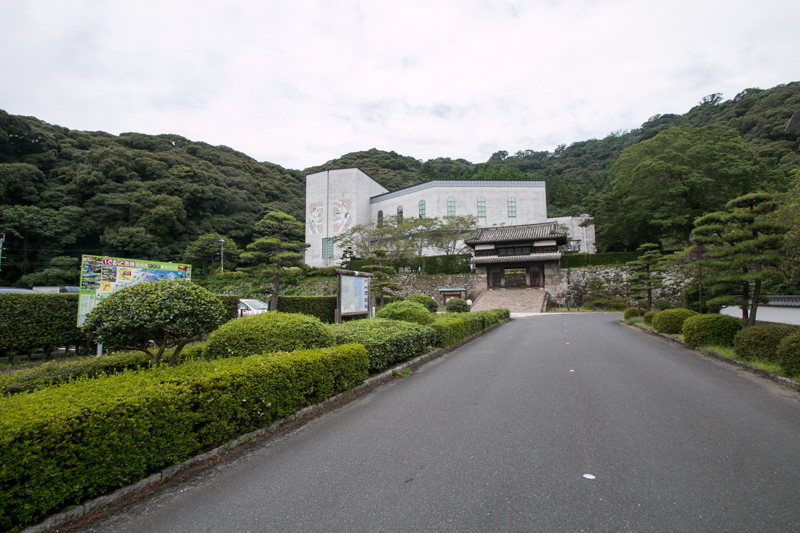 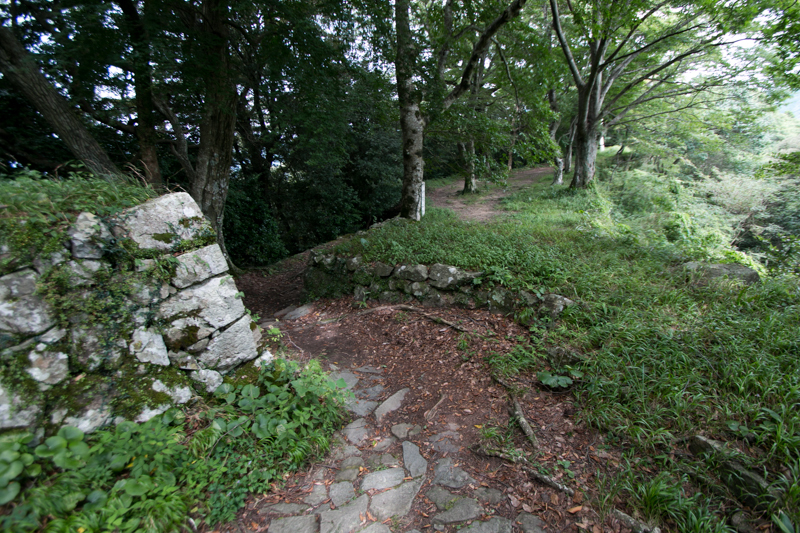 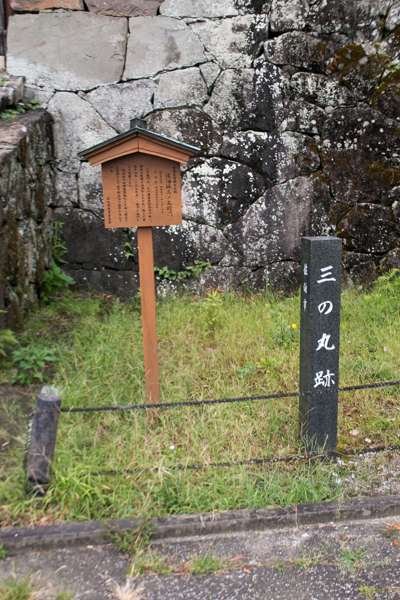 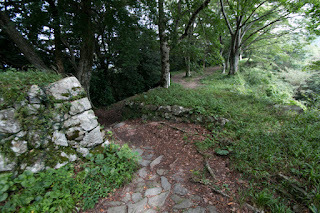 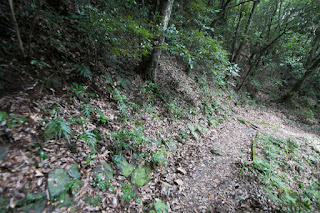 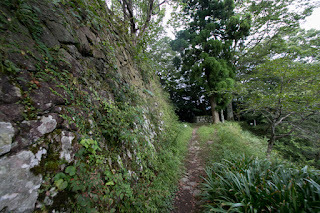 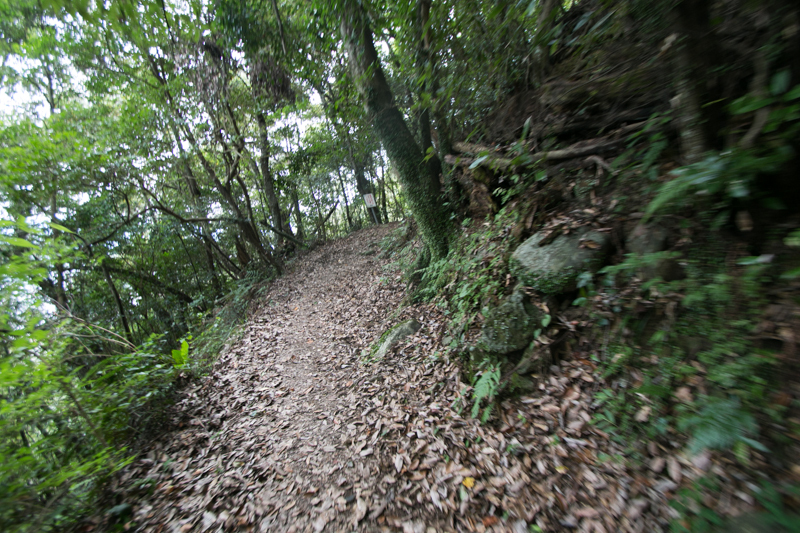 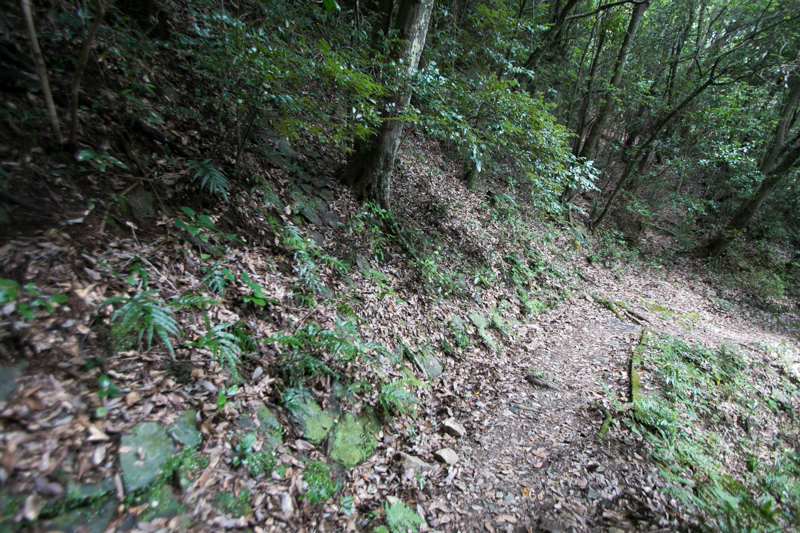 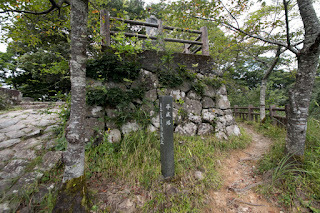 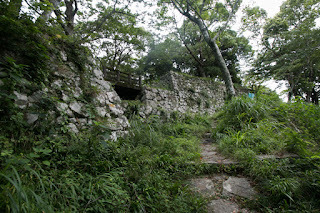 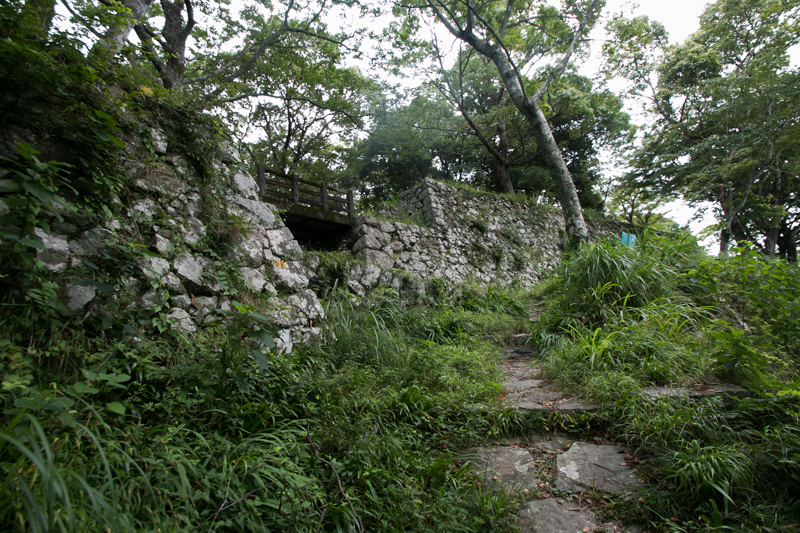 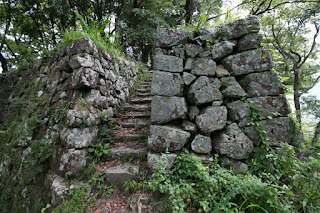 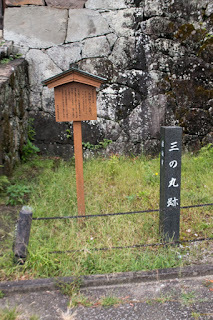 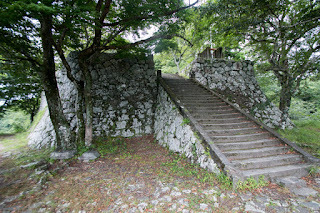 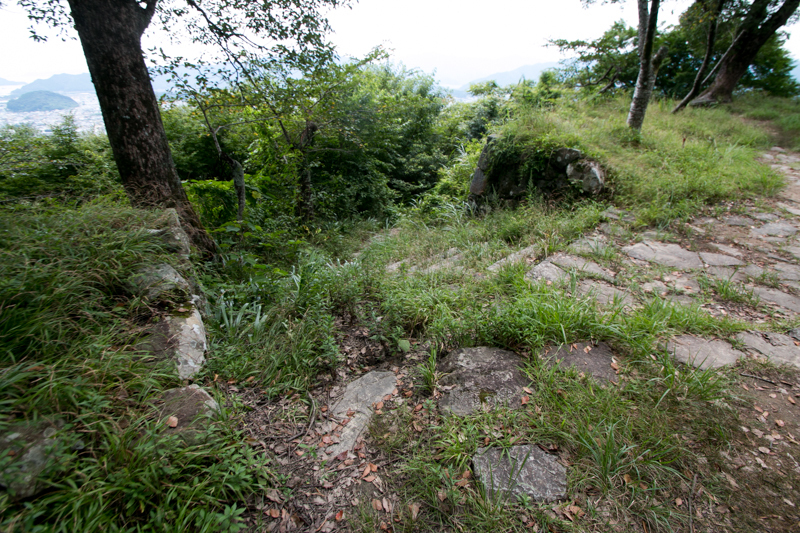 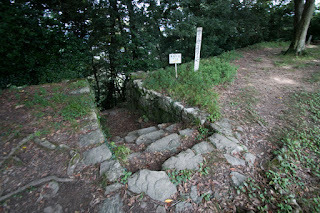 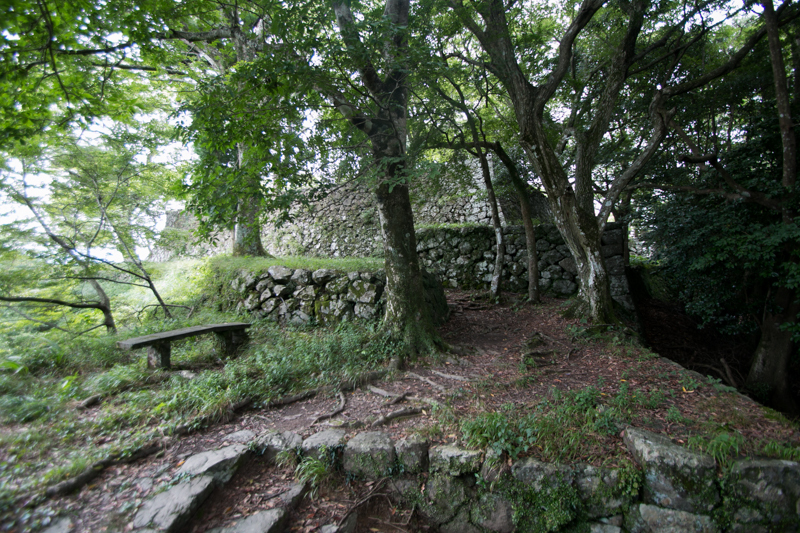 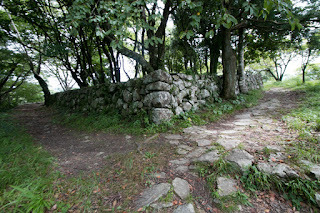 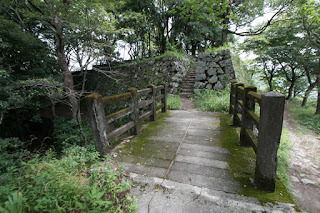 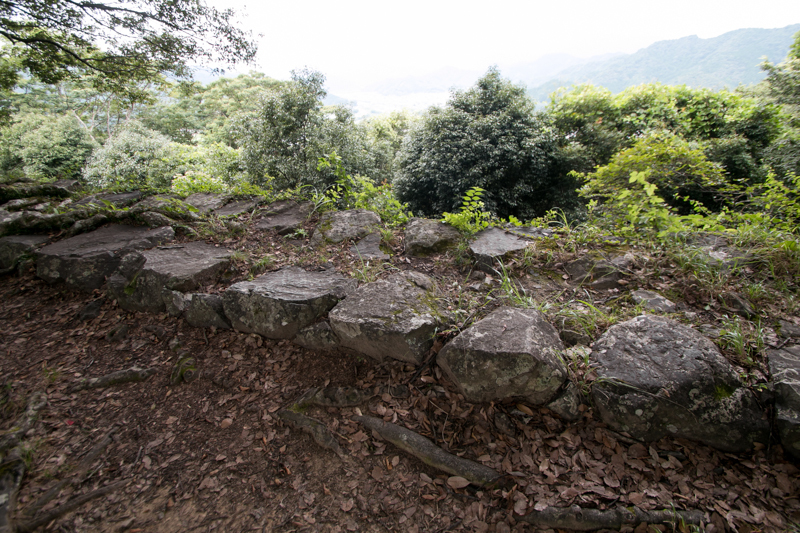 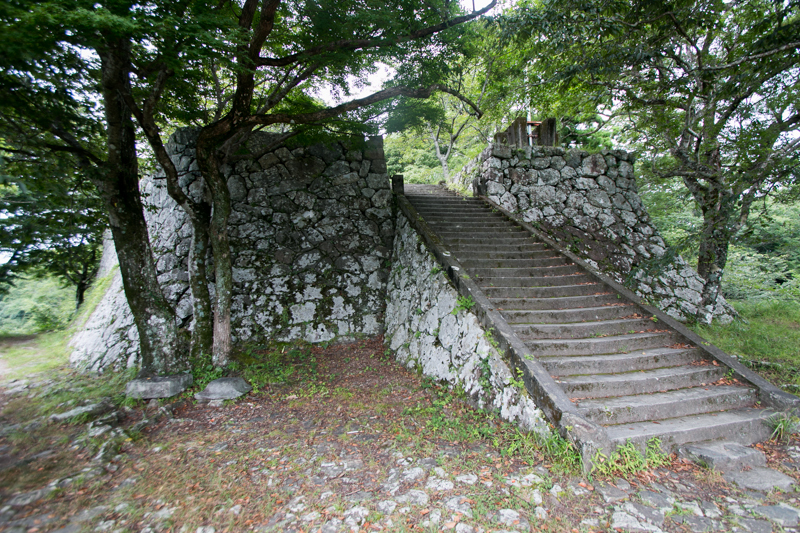 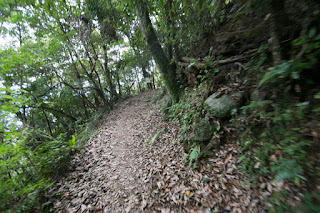 Now castle site becomes a historical park, and Shiroyama mountain is also used as an casual hiking course of residents. 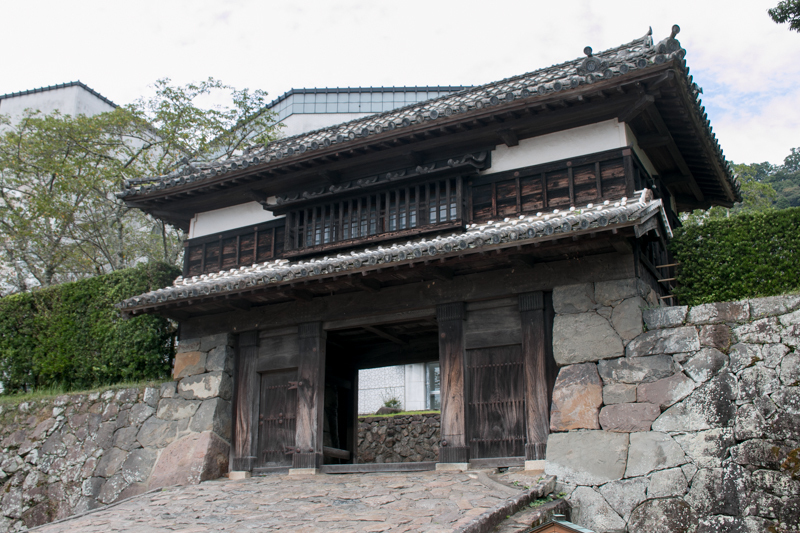 Profound wooden turret gate remained at hillside area becomes a symbol of traditional city. Because of its shape this castle has a nickname of flying crane castle, but considering its location and ellipse shaped body, it might be more appropriate to compare this castle as a seagull. 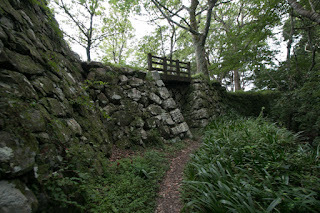 Anyway even though a small castle with low stone walls built by small feudal lord like a miniature or a garden, but combination of continuous elegant line of stone walls and secure gates is worth for visiting. 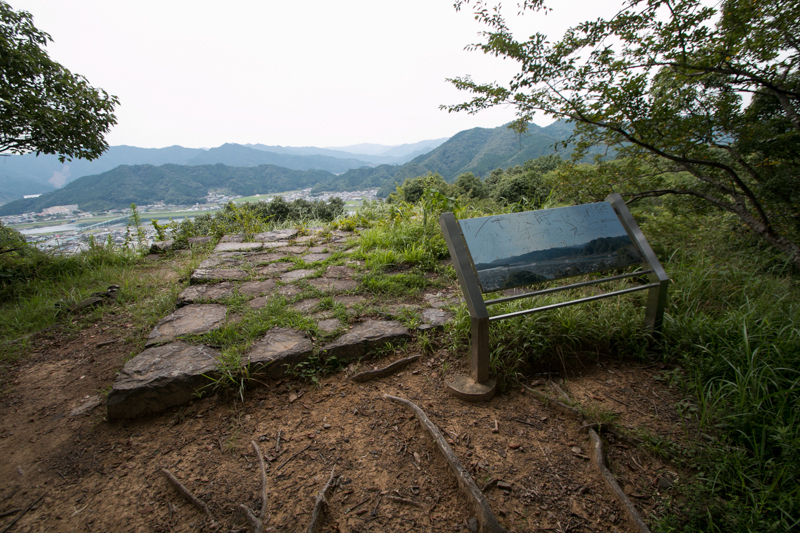 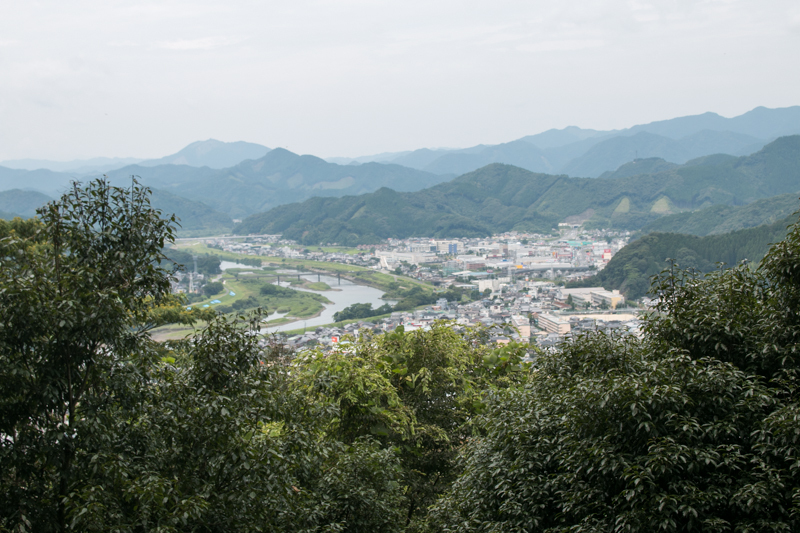 As it locates on sheer mountain, visitors can see the beautiful scenery of Saiki area as if seen from the bird view. 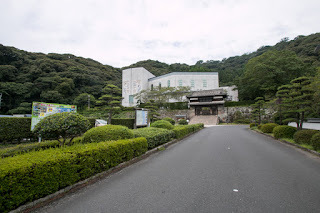 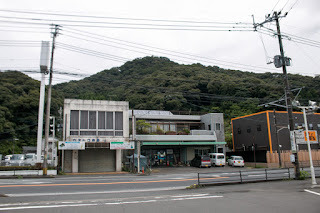 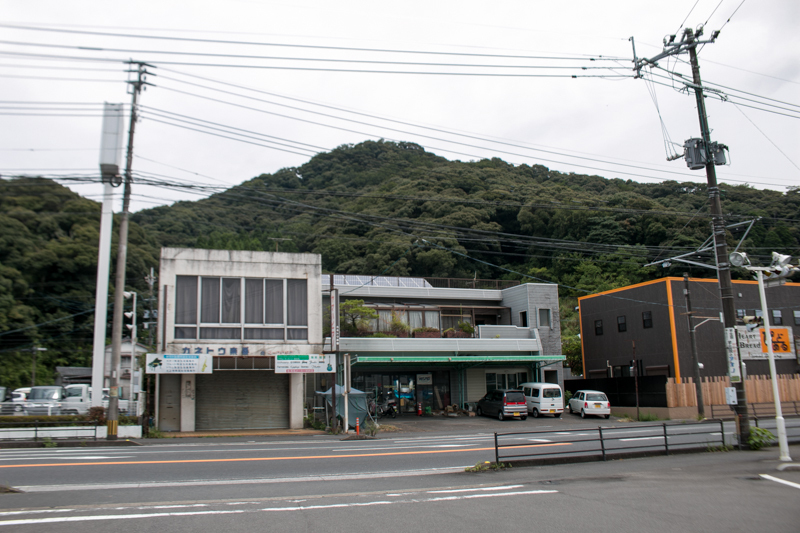 20 minutes walk to entrance of climbing road from JR Kyushu Nippo Honsen line Saiki station. 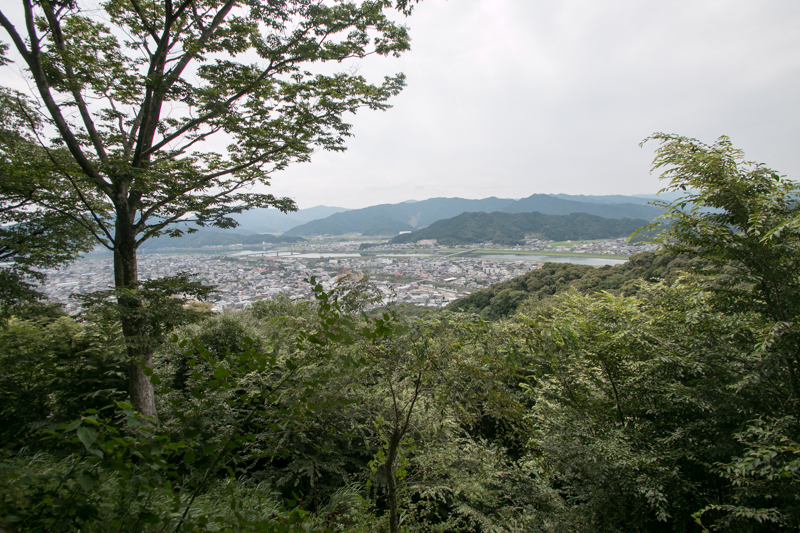 20 minutes drive from Higashi-Kyushu Jidoshado Expressway Saiki interchange.